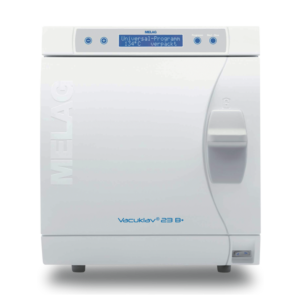 The Vacuklav 43 B+ is the ideal device for all practices that desire an effective steam steriser without fixed water connection, having an efficient, patented air-cooling. 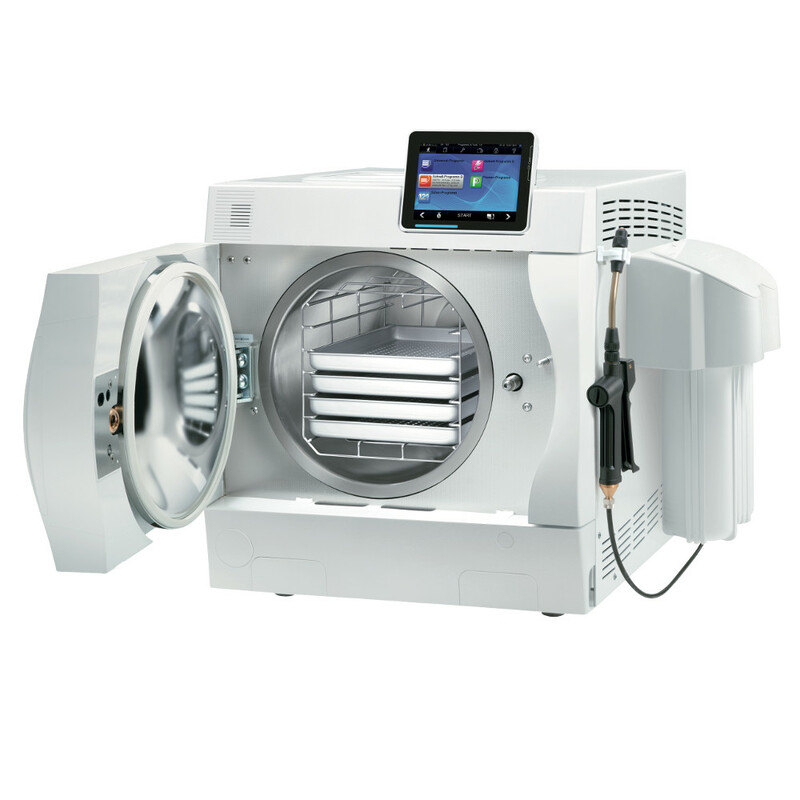 Compared with the Vacuklav 41 B+, which is almost identical in construction, the Vacuklav 43 B+ has a larger and deeper (45 cm) sterile chamber, which makes it possible for longer sets of instruments to be decontaminated. Thanks to its very short operating times, this innovative steam sterilizer can also be used in practices that want to sterilize many instruments quickly at the same time. 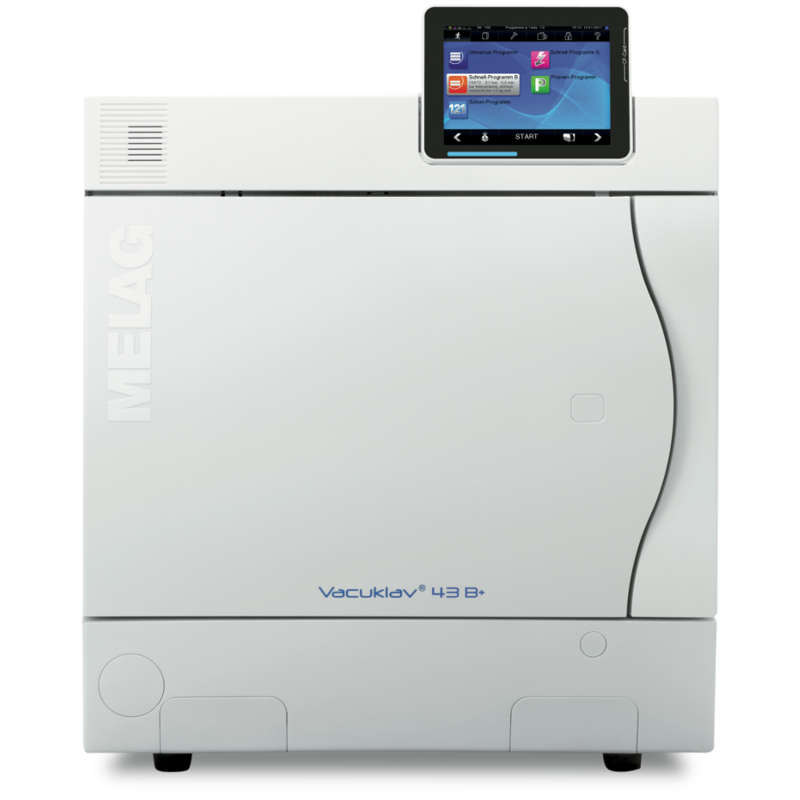 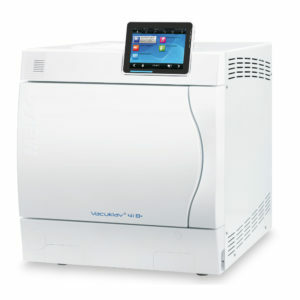 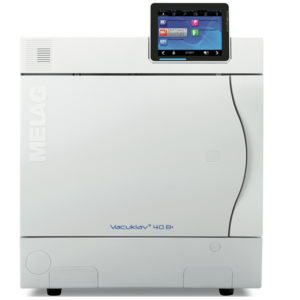 Additional advantages are the integrated software for approval, labelling and tracing of the sterilized instruments, already integrated in the steam sterilizer, and obviously the extra-size of the colour-touch display. 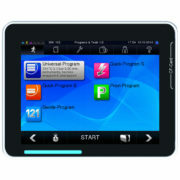 This modern concept provides safety for the practice and the patients, makes work easier and helps to prevent errors.